Ben Blackshaw's wife, LuAnna, has been shot and lies in a permanent coma on Smith Island. Blackshaw has a disastrous falling out with his best friend, Knocker Ellis. Licking his wounds alone on Lethe Island, Blackshaw resolves to quit the Chesapeake. To his disgust, he soon uncovers evidence of the brutal lynching of a young black boy. Police fail to capture the murderers despite the evidence Blackshaw turns over; Blackshaw himself becomes a suspect. He deploys west to Arizona in search of the killers, and discovers an encampment of armed ranchers, along with a one-percenter biker gang, and a cult of white supremacist vigilantes who have all sworn to stop the flood of undocumented immigrants crossing the Mexico line. But everyone hides deadly secrets, including a biologic Weapon of Mass Destruction, the bizarre shoot-down of a Customs and Border Protection helicopter, and the disappearance of its crew. The vigilante camp itself is surrounded by a raging wildfire. 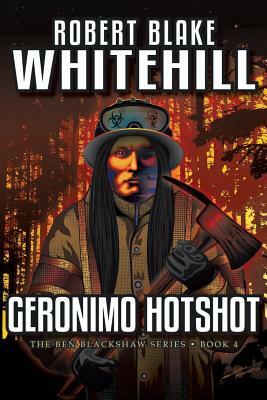 Blackshaw teams with Del, an Apache member of the Geronimo Interagency Hotshot Crew, who was detailed to battle the blaze. Together they patrol in on the gathering of monsters. Part of their treacherous journey takes Blackshaw and Del through a cavern system of strange, wondrous, and lethal beauty. In the end, fire and hate threaten to consume everyone; the light of the inferno reveals that Blackshaw might be no better than the quary he hunts.